blue was created as a music composition environment that should be used with the Csound sound system. 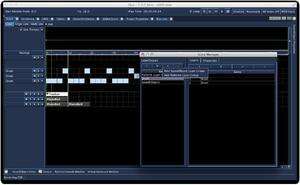 blue is written in Java and comes with an interface that resembles a digital multitrack, but differs in that there are timelines within timelines. Version 2.5.14 is a freeware program which does not have restrictions and it's free so it doesn't cost anything. For security reasons, you should also check out the blue download at LO4D.com which includes virus and malware tests. Additional screenshots of this application download may be available, too. Featuring some of the very best free downloads for audio and video editing software. Editors also provide reviews and virus scans of popular free programs. Check out some of the freeware downloads available in the audio/video editor category. They contain no strings and are available at zero cost. blue download been highly rated by our users.